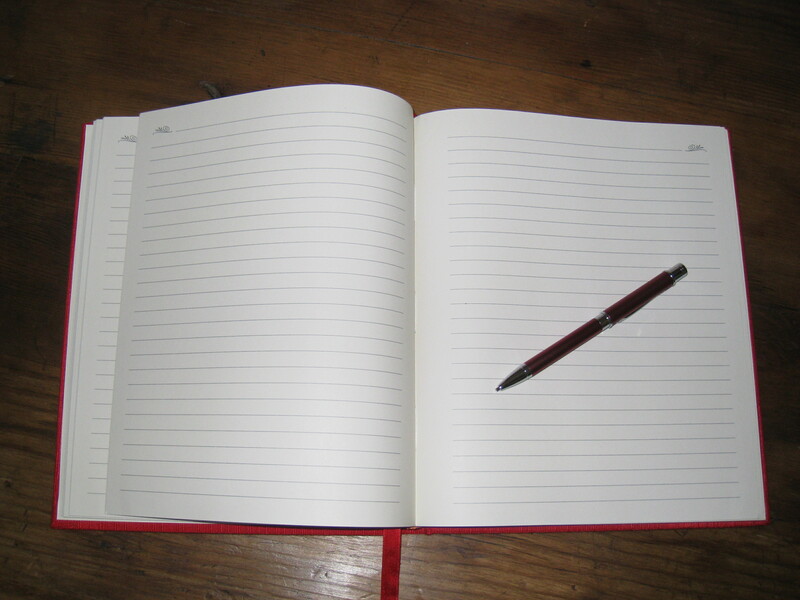 Make a written record of your dreams no matter what method you use to record them initially. When you record your dreams, do so in the present tense (reserving past tense for what is experienced as memory in the dream). Always make sure to note the date and the day of the week for each dream. Give your dreams titles after you write them down. This becomes crucial when you go back and review the dreams over months and years because the moment of picking a title is often a doorway into insight. Never forget that you are the only one who can know what meaning and significance your dreams can hold. The “tingle” or “aha” that you feel (or whatever you prefer to call it)–that inner knowledge that something seems true, strikes you as right–is the only reliable touchstone of dreamwork. However, the “tingle test” is only a positive test. Just because you don’t feel something doesn’t mean that an idea or experience is wrong–only that you need to take it into consideration. It is always possible that you are not prepared to acknowledge some aspect of the truth that your subconscious is presenting you with. Never put any limitations on the way you record or interact with your dreams. Prose writing isn’t the only way. You can use art, music, poetry, whatever seems to fit the context of your dream. That being the case, give expression to the images, energies and ideas of your dreams in as many ways as you would like to explore. In this way you will open up your dream to more of its meanings and insights and gifts for living. Cultivate whatever means of expression work best for you. Do not ignore dream fragments. Just because you can’t remember the entire dream doesn’t mean you won’t find meaning in just a piece of it. Often dream fragments are a condensed version of the meaning of your dream. Read, think, pay attention to the full range of your experience in each moment, and try to make sense out of it as whole, in pieces, any way you can. Every dream has many meanings and many levels of meaning so don’t get too caught up in the first or even second set of “tingles” you might experience. Try to see the whole range of meanings. Remember that every one else is in the same boat, dream wise. We all have multiple layers to our dreams. And, because of this it is important to love our enemies–we share one planet on the outside, one archetypal drama on the inside. Re-experience your dreams in as vivid imagination as possible. Re-experience it from the different points of views of the different characters and figures within the dream. Write these imaginings down and re-read them. Imagine different ways your dreams may have continued had you not awakened. Take the time to make the journals where you record your dreams visually interesting. The more you honor and welcome your dreams, the more likely they are to provide you with insights. In addition, how you decorate your journal now can give you great insight later into where you were at that particular time in your life. Go back and look over all your dreams periodically. Keep an open mind for patterns and directions of development. This work can be greatly facilitated by keeping a second journal in which you keep your dream titles on one page with dates and page references and a list of significant events in waking life on the opposite page. If you practice any formal meditative practice in waking life see if you can’t translate that to dream life as well. Share your dreams with people you care about and ask them about their dreams.